$1600. 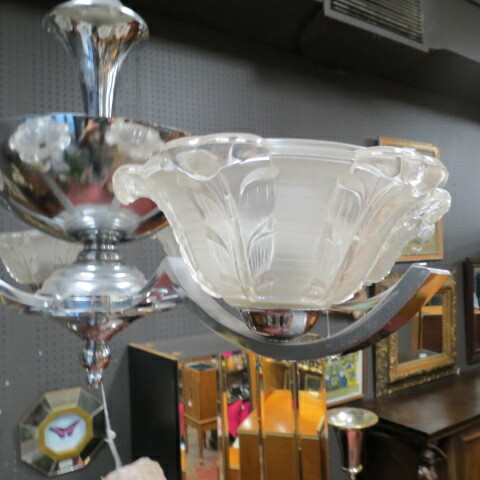 vintage moderne French Art Deco chrome chandelier with lalique style shades, circa 1940 by Ezan. 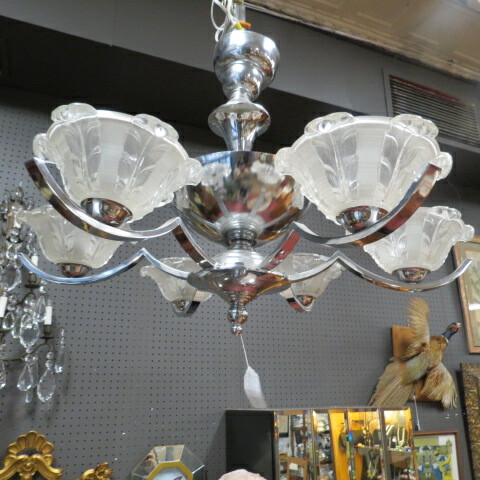 gorgeous 6 arm signed frosted glass shades chandelier, purchased in Paris. excellent condition. rewired. 26" tall, circumference of chandelier 27". $1600. 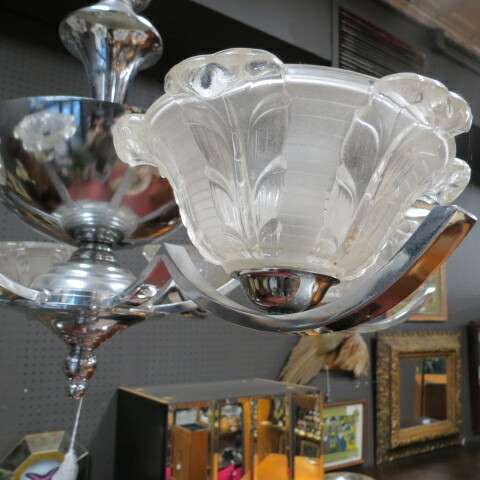 vintage moderne French Art Deco chrome chandelier with lalique style shades, circa 1940 by Ezan. gorgeous 6 arm signed frosted glass shades chandelier, purchased in Paris. excellent condition. rewired. 26″ tall, circumference of chandelier 27″.